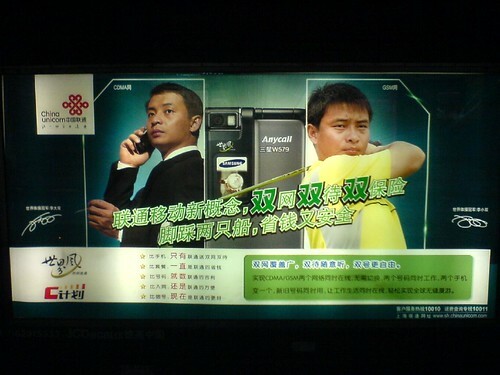 China Unicom has teamed up with Samsung and hired the athletic Li brothers, 李大双 and 李小双, for this Shanghai subway ad. 双 means “double” or “pair.” If you were to translate the names of these two directly into English, you’d come up with “Big Pair” and “Little Pair.” Good to know they’ve both got a pair, but if I were named “Little Pair” I think I’d feel I got the short end of the stick. I think I’d feel I got the short end of the stick. 双 here means Twins (双胞胎), it’s common to call twins 大双、小双 in spoken Chinese, actually i’ve heard people calling the name in real life. Looks like John had too many “Punny Flakes” for breakfast. 李大双and李小双 are born in Hubei, Xiantao. Their hometown is famous as a factory of gym athletes.